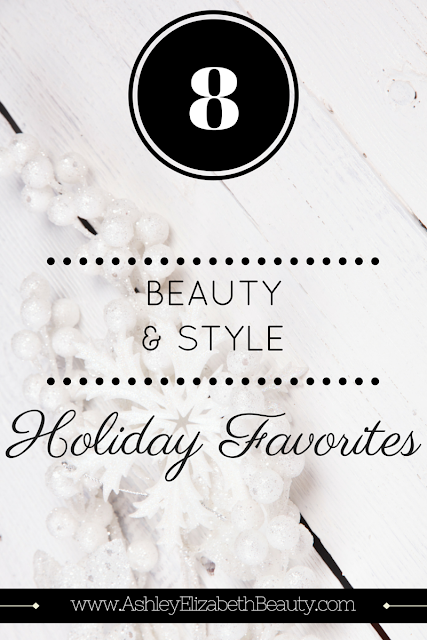 These 8 beauty and style holiday favorites are the perfect essentials for parties, events, dinners, and gift exchanges! Every one of these items will bring a gleaming sparkle or sense of sophistication to your holiday festivities. This beautiful palette is made up of a mix of 15 matte and jewel tones, each one designed by Gwen Stefani herself and guaranteed to spice up any holiday makeup look. The texture and pigmentation is stunning and so long lasting you will not have to worry about creasing or fallout during your holiday blitz of food and gifts. My absolutely favorite shades has to be Pop, a pale coral with iridescent sparkle, which I will be applying to my lid this Christmas Eve as part of a shimmery pink and mauve cut crease. Huda Beauty lashes are stunning. They are lightweight, reusable, vegan, and cruelty-free, and come in a variety of styles guaranteed to fit and makeup look or occasion. My favorites are Giselle, Samantha and Sasha, which are all low-to-medium volume and more natural than dramatic. I will be wearing Giselle this holiday season to create a natural look that is subtle while still remaining beautiful. 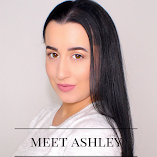 I have been a Huda Beauty fan for a long time, and these lashes remain a staple in my makeup routine! Have a holiday party or even to go to, but don't want to lug around your heavy everyday tote? Kate Spade's Lily Avenue Wallet is the perfect accessory for all the essentials. I can fit my iPhone, lipstick, ID, and cards easily, with room to spare for a few tampons if the time calls for it. This wallet comes in the colors Ballet Slipper, Black and Cherry. Ballet Slipper, a soft pink, is my favorite, and the scalloped snap-flip closure is elegant and sophisticated, while still remaining girly and cute. The reason this is one of my go-to lipsticks for parties or events is because of its great coverage and ability to last. The texture is rich and feels like satin upon the lips. My favorite shade, Anita, is a gorgeous petal pink, which gives my lips a subtle tone without being too dramatic. When I found this perfect shade of shimmery Christmas red, I had to stop in Sephora for a moment of silence and appreciation. Honestly, you cannot get more festive than this. These are long lasting, glittery, and comes in a show-stopping red. If this is too much glitter for you (but honestly how could there be such a thing?) use this as an accent color on either your ring or index fingers, and paint the rest a bright red. In addition to purses and wallets, Kate Spades makes the most beautiful jewelry that is affordable, sophisticated, elegant, and effortlessly girly. At only $38 these bazel-set faceted stones feel like a steal. The glitter is subtle but always catches the light just right. I know what you're thinking: Kate Spade, again? Hell yes, Kate Spade. This watch gives me life. It is scalloped (to match the wallet), stylish and comfortable. The face and color combination is stunning and classicly elegant. This is my favorite mascara for wearing beneath a full set of false lashes. It is voluminous, lengthening, and comes in a very deep jet black. The brush is thick and lashes turn out lush and full. This is also my go-to mascara when I want a dark eye look without false lashes.